Hazlehurst has given her support to WIRES as the not-for-profit organisation prepares for the busy Spring rescue season and the influx of orphaned, injured and abandoned baby native animals. “Spring is the time when newborn native animals and birds are at their most vulnerable,” said Hazlehurst. WIRES General Manager, Leanne Taylor said their call centre is expecting to field over 27,000 rescue calls this Spring based on their 2013 Spring season. “We are expecting even more calls this year as native animals compete for a safe place to raise their young due to increasing loss of habitat,” said Taylor. All WIRES rescues are carried out by a network of dedicated volunteers but the organsiation relies on public support to continue to provide its rescue service and care program 365 days a year. Donations to the WIRES Spring Rescue Appeal can be made by visiting wires.org.au or by calling (02) 8977 3396 (BH). All donations over $2.00 are tax deductible. WIRES – the NSW Wildlife Information, Rescue and Education Service Inc., is a not-for-profit organisation dedicated to helping sick, injured and orphaned native animals and releasing them back into the wild. 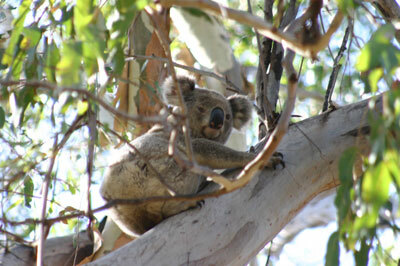 For native animal rescues call 1300 094 737 (13000 WIRES). *There are currently 592 people online.